It’s 26 January and you’re by the pool with your loved ones, chilled bevvie in hand, but you can’t quite shake the feeling that something’s missing. 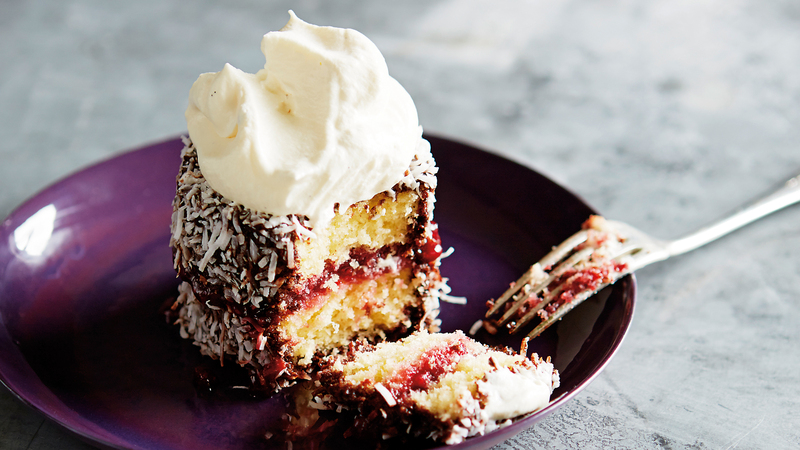 These coconutty, chocolatey lamingtons will make your Australia Day complete. Don’t forget the vanilla cream. Preheat the oven to 180°C. Lightly grease a 12-hole standard 250ml (1 cup) muffin tin. Sift together the flour and cornflour, and set aside. Use an electric mixer with a beater attachment to beat the butter and caster sugar until pale and creamy. Add the vanilla and then beat in the eggs one at a time. If the mix starts to curdle, add a tablespoon of the sifted flour. Fold in the rest of the sifted dry ingredients, then add the milk and mix until just incorporated. Spoon the batter into the prepared tins. Bake for 25 to 30 minutes or until the sponge springs back when gently pressed on top. Cool in the tins before turning out. Sift the cocoa powder and icing sugar into a medium bowl. Add the chopped dark chocolate and pour over the boiling water. 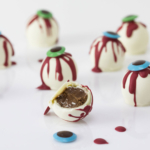 Whisk until combined and the chocolate has melted. Strain through a sieve to remove any lumps and allow to cool. To assemble: Cut each sponge in half and sandwich together with the raspberry jam. 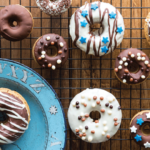 Carefully dip each one into the lamington dip, drain off any excess chocolate and roll in the coconut threads to coat. Place on a wire rack to dry. Note: Store in an airtight container for up to 2 to 3 days. Split the vanilla bean in half lengthways, then scrape the seeds from the halves using the tip of a sharp knife. In a heavy-based saucepan, put the raspberries, sugar, lemon juice, vanilla bean and seeds, and 125ml (½ cup) water. Stir constantly over low heat until the sugar is dissolved, approximately 5 minutes. Bring to the boil, then reduce the heat. Simmer uncovered, stirring occasionally, for approximately 20 to 25 minutes until the mixture will jell when tested on a cold saucer. Discard the vanilla bean. Stand the jam for 10 minutes to settle before pouring into hot sterilised jars. Note: Store in a cool, dark place for up to 12 months. Once opened, keep in the fridge and use within 1 month. Split the half vanilla bean lengthways, then scrape the seeds using the tip of a sharp knife. Combine the cream, vanilla seeds and sugar in a bowl and use an electric mixer with a whisk attachment to whisk the cream until it forms soft peaks. 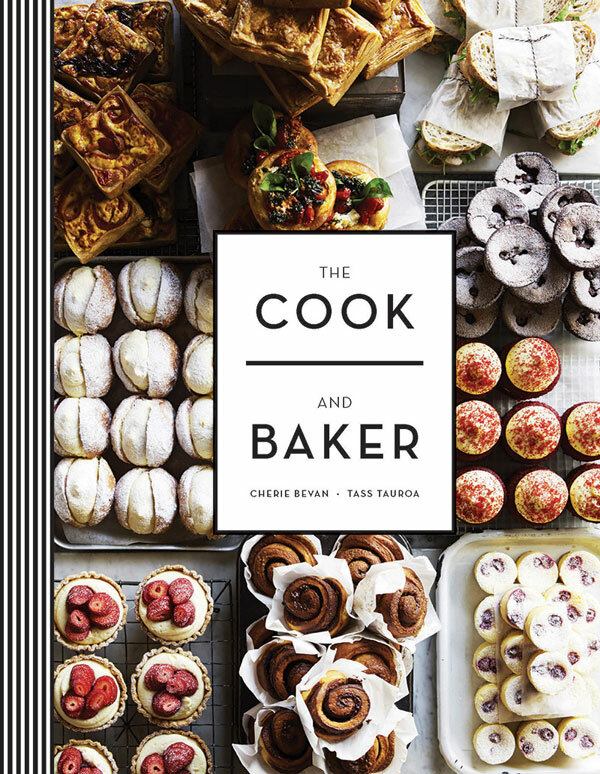 This recipe is from The Cook and Baker by Cherie Bevan & Tass Tauroa, published by Murdoch Books. 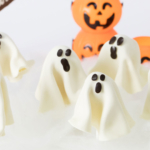 Spooky 'levitating' chocolate ghost lollipops are a spine-chilling creative sweet for the Halloween season.